President Maduro of Venezuela has presided over a humanitarian and economic crisis, mismanagement, and corruption. 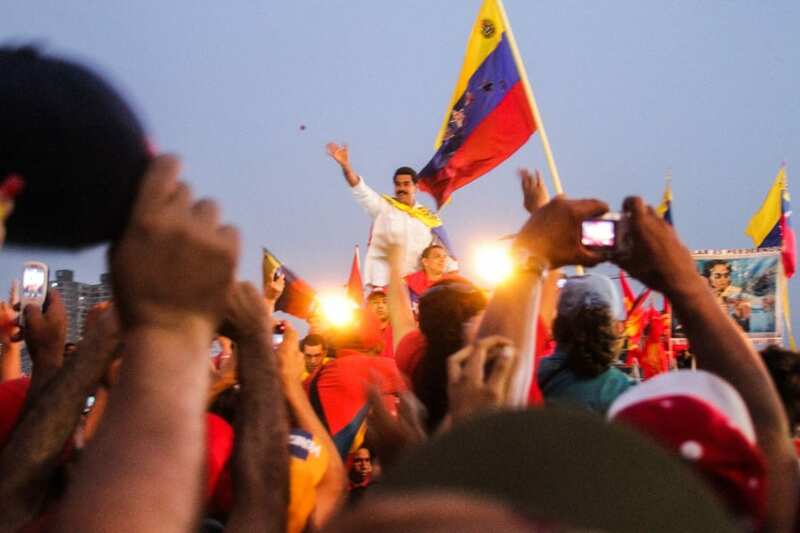 His election win in 2018 was denounced as fraudulent, and in January 2019, leader of the opposition Juan Guaido during an anti-Maduro protest declared himself interim president of Venezuela. President Maduro, however, is refusing to step down; with the support of the military he seems intent on retaining power. He has told the US to keep its hands off Venezuela. Yet, more and more nations have come out in favour of Guaido, including the European Union and the United Kingdom. Critics of Maduro such as Foreign Secretary Jeremy Hunt have said that “the oppression of the illegitimate, kleptocratic Maduro regime must end”. The US has similarly ramped up the rhetoric with Vice President Mike Pence saying of Venezuela that “There is no time for dialogue” and that “it is time to end the Maduro regime”. The threatening dogma of Pence and Hunt is emblematic of something they both proclaim to denounce: anti-democratic practice. Maduro is the democratically elected president of Venezuela, yet under the auspices of democracy and liberty for the Venezuelan people, the West threatens the very process they claim to uphold. This seductive game of emancipation of people in a foreign state for their own greater good has been seen before; the UK’s involvement in Iraq against Hussein, or the US support for General Pinochet’s coup in Chile. Such interventions did not lead to positive or democratic outcomes for the peoples of Iraq and Chile. Intervention is also not always obvious, with the US also having a history of utilising its unmatched levels of economic capital to destabilise governments. For example, it began an embargo against Cuba in 1960 when the latter nationalised US-owned oil refineries without any compensation. This embargo covered almost all exports and remained in place with adjustments here and there ever since. The parallels are clear when looking at the contemporary example of Venezuela; the economic interventionism has already begun. As of late January, the US announced the decision to impose sanctions on Venezuela’s state-owned oil firm PDVSA. Treasury Secretary Steven Mnuchin stated that the proceeds of the purchase of Venezuelan oil would be withheld from Maduro’s government until he agrees to elections. This becomes particularly chilling in light of national security advisor John Bolton’s comments who spoke about the advantages to the US of the vast Venezuelan oil resources during an interview on Fox News. Furthermore, the man appointed as advisor to the mission in Venezuela, Elliott Abrams, is a notorious neoconservative who bloodied his hands with innocent lives in the South American wars in the 1980s. This is a man who helped coordinate US support for the likes of Efrain Rios Montt, the Guatemalan dictator from 1982-83 who was convicted of genocide. Prevailing evidence points to the fact that the militarism and imperialism of US rhetoric and action in Venezuela has no democratic precedent whatsoever. By no means do I here attempt to condone the damage Maduro has done to Venezuela. However, the fight for international democracy has to be applied equally to all situations, therefore, international support for Guaido must be condemned in the strongest possible terms.